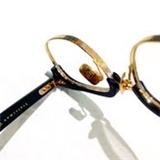 Anthony Aiden Opticians (New York) - Book Appointment Online! Full comprehensive eye exams, contact lens fittings and customer service that is second to none. Hi-end eye wear. Most insurance accepted. Serving NYC since 1989. Solid & efficient. Felt like she really knows what she's doing. No sales pressure.